In order to achieve the SDGs, collaboration needs to take place at a scale not witnessed before. This is incredibly hard. But it’s essential. And it can be done. offering training courses to build individual and organisational partnering capacity. These six support areas form the basis of the filtering categories on this website. This global support network can enable more rapid exchange of knowledge and experience. This helps avoid duplication of effort, identify gaps and increase the likelihood of systemic change. 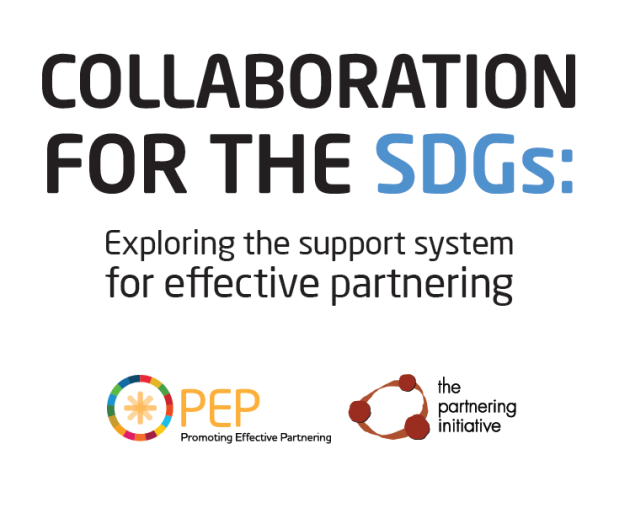 The report has been produced for PEP by The Partnering Initiative.